Draw it and they will come, someone said! I loved Knight Rider as a kid, and I am on my fifth MINI Cooper, so it was a natural progression to merge the two. 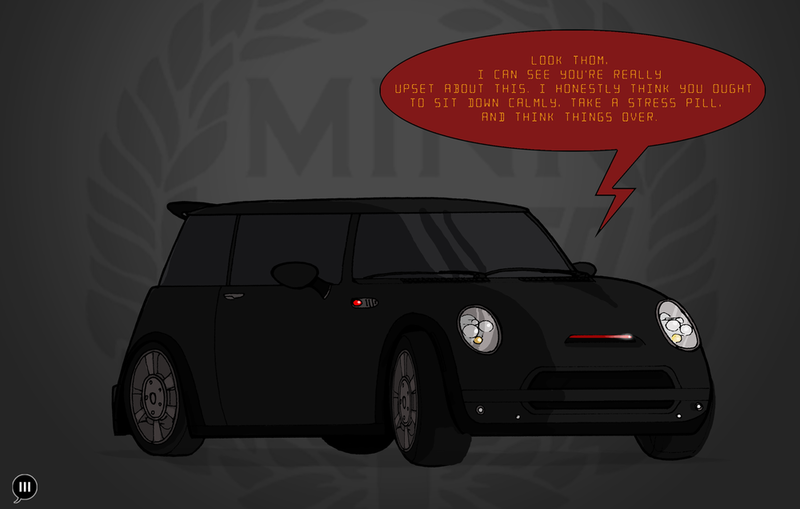 This was drawn based on my first MINI, a 2005 MCS with a body kit. Though mine was Pepper White, nothing beats the jet black look of KITT, complete with the scrolling red LED… or incandescent, back then. Perfect for the MINI lover in your life, I say! Bonus: If you aren’t into that 2001 reference up top, here’s a blank version of the print for you!